Happy (or should I say "hoppy"?) Wednesday everyone! 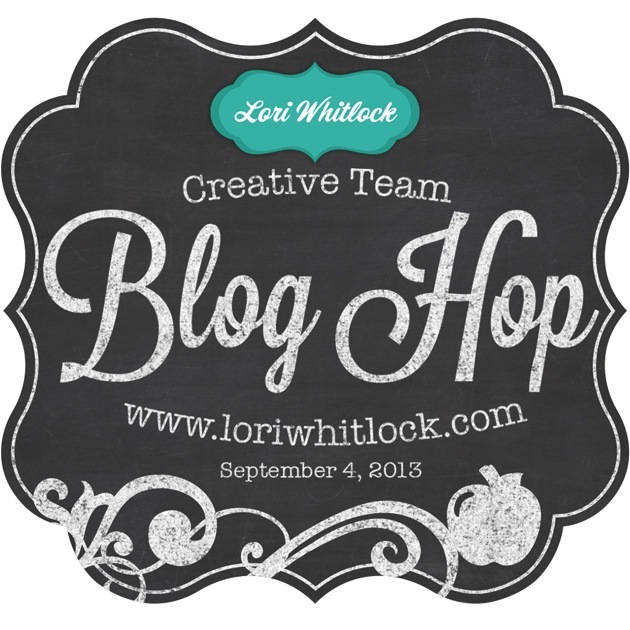 Welcome to Artsy Albums and your next stop on Lori Whitlock's September Blog Hop! If you're starting here, be sure to head over to Lori's site to start from the beginning! 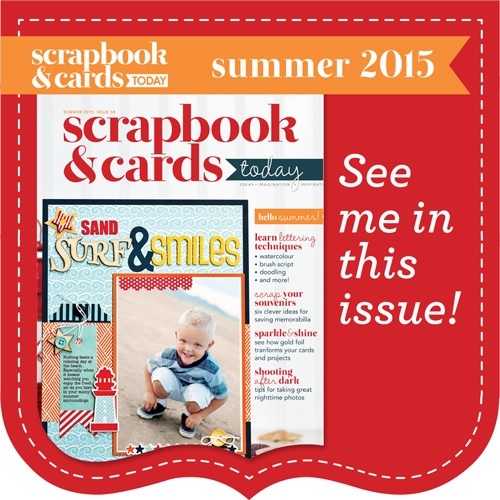 You won't want to miss the inspiration and fun projects at each stop! For my project, I'm sharing my take on two of Lori's adorable designs -- the Apple Favor Bag and the A2 Dot Card. 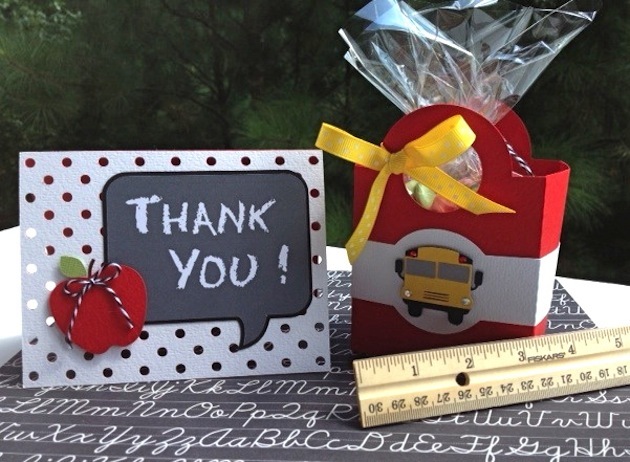 I thought this would make such a cute gift set for a teacher or your child's bus driver! For the A2 Dot Card, I cut the base out of red card stock, and the top layer out of white. The holes match up perfectly, so it was very easy to adhere the top layer to the front of the card. 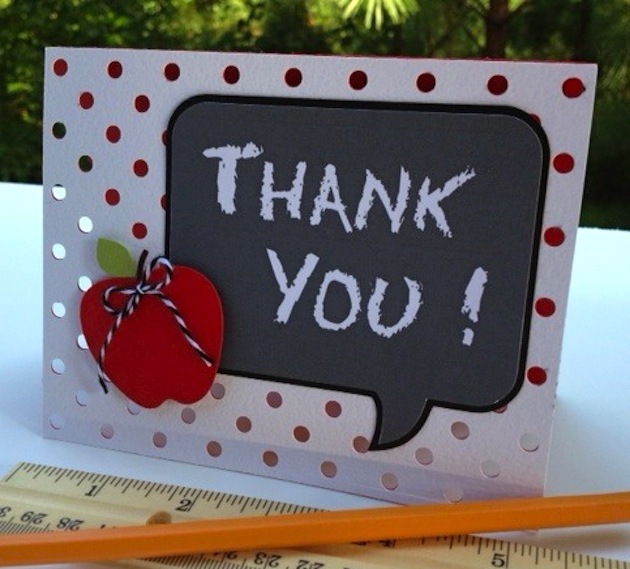 For the Chalkboard element, I used Lori's Back To School Board, but changed it up a bit since this needs to be a thank you card. The file comes with two layers so I cut the larger, bottom layer from black card stock. For the top "thank you" layer, I made a Print and Cut and the font I used ('chalkdust') was downloaded from the internet. The cute apple comes with this file also, but I did enlarge it to a size that I thought looked cute on the card. 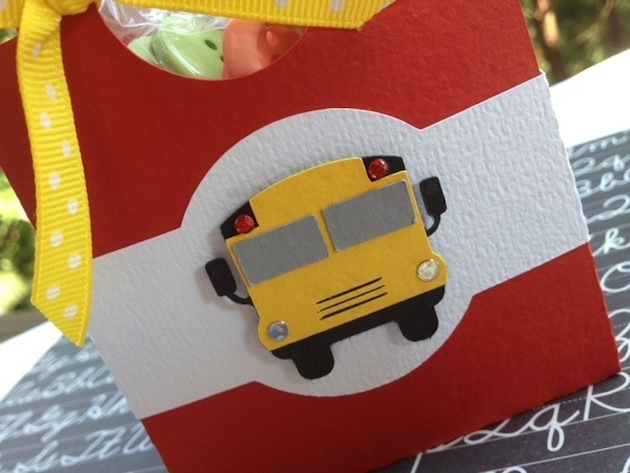 For the Apple Favor Bag, I decided to replace the apple with Lori's cute little school bus. I re-sized it to fit on the bag's belly band, and used gems for the lights -- SO cute!! 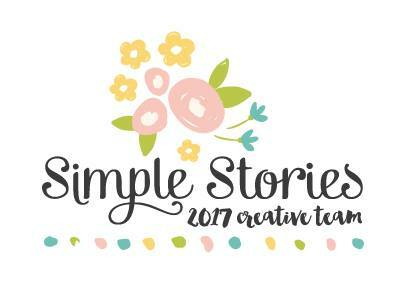 I had so much fun with all of Lori's designs this week that I'd like to give one lucky visitor a chance to win a $10 download card to Silhouette! Also, don't forget to leave a comment below so I know that you've entered the giveaway!! loving the little school bus on the belly band. thanks for the chance to win! The little bus is my favorite part too Lois! Thanks for dropping in to Artsy Albums and good luck with the giveaway!! Thanks Jean -- so nice to see you at Artsy Albums again!! Super cute projects, loving that little bus and the chalk elements are awesome! Great job, thank you for sharing. Hi Carol! Thanks so much! So glad to have you as a new friend at Artsy Albums! Love all your projects. great inspiration! thanks! You are so welcome Alana...thank YOU! Glad you're here! Your projects are always amazing and inspiring! Thanks! Hi Karen -- You're so sweet! Thank you! Hope you entered the giveaway...if so, good luck! I did enter the giveaway. Keeping my fingers crossed! Just the cutest - love that bus! Great colors, fab project. Hi Sherry and thanks tons!! 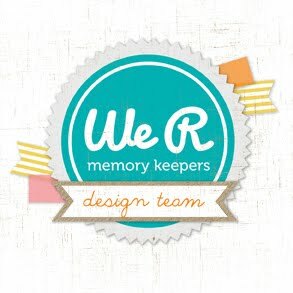 Lori's little bus file is my favorite part of this project too :) So glad you stopped by! These look fantastic Traci, such a cute teacher's gift set!! So cute! Love the creativity! Awww...thanks Chris!! and if you entered the giveaway, good luck! Awe, what a cute Teacher's gift. Great job! Love your projects. Most of my Silhouette work is for teacher/therapist/para gifts. I need to try the chalk dust print. Hey Janet -- yes, the chalkdust font is fun for teacher gifts. I got it free at scrapvillage. Thanks for stopping by! 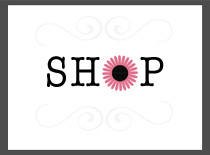 Hi -- thanks so much for visiting my site! If you entered the giveaway, good luck!! Great designs - especially like the polka dot holes! Can't wait to try it! Hey Leslie -- thank you so much! I know -- aren't those holes in the card fun? Lori's designs are always so great :) So glad you stopped by! Thanks Sue! I'm so glad you stopped by! Good luck with the giveaway!! Me too Suz -- that little bus is my favorite :) Thanks so much for stopping by Artsy Albums and good luck with the giveaway! Loved the bus. I really appreciate my kids bus driver. She takes her time and makes sure they are all safe. Even when a little one falls asleep on the bus a time or two. Asleep? Awww -- hard day at school :) When I finished this project, I thought about bus drivers and how they probably don't get little treats very often. The favor bag is the perfect little size to say thank you! Thanks for stopping by Lisa!! Thanks so much for stopping by -- good luck with the giveaway!! I love love that dots card! Thanks for the inspiration and a chance to win! You're welcome Helen! Thanks for stopping by Artsy Albums! Hi Shannon! Thanks so much for visiting Artsy Albums! Good luck with the giveaway! Thanks Linh! Glad you're here -- good luck! I haven't tried the cute polka dot card design yet, but I love the way yours turned out and I must give it a try now! :) Super cute projects! Love the bus too! Great job as always Traci!!! Love the dots!!!! I entered and I lover the polka dot card! Welcome to Artsy Albums Cindy! Glad you stopped by and entered the giveaway! Good luck!